Winston Churchill legendarily refused to cut funding to the arts during World War 2. As the story goes, when faced with the option of diverting the money to the war effort he answered simply, “Then what are we fighting for?” This story may be apocryphal, but its message rings true; the arts and artistic expression is what makes life worth living. This is the central idea behind Resa’s Pieces, a diverse group of amateur musicians, ranging in age from 20 to 90, dedicated to being lifelong lovers of music. The group brings its annual Concert Band Performance to the Flato Markham Theatre on May 26. Like all too many young musicians, she traded her musical life in for family, career, and stability. After so many years away, she realized that it was a false choice. After she started playing again, she wanted to share the resultant joy with others like her; she wanted to start a band. Her idea was to create a place for people like her, lapsed musicians who wanted to just play, to come together and share their love of music. So, the Resa’s Pieces concert band was born. “My plan was to start in nine months-we started in three,” says Kochberg. The band began with 18 like minded adults of wildly varied musical skill levels. The first rehearsals involved reviewing basic music skills with the more experienced helping the less so. Soon enough, however, the band was playing full pieces and looking to perform. Now, the three ensembles are a combined 160 members strong. The groups rehearse at the same time in three rooms at a local high school so they can socialize together on breaks and afterwords. “We have a wonderful community,” Kochberg beams. After years of successfully building this community of artists the natural next step was to build an audience, of course. So, the group began performing concerts. Of course, any Resa’s Pieces concert is guided by the same egalitarian, community-building ideals that drive the ensembles. Pieces are selected for maximum enjoyment, and even participation, for the audience. The goal is to welcome the audience into the community. One year, the audience even performed as the cannons, using inflated paper bags, in the 1812 Overture. This year the show features a medley of music by the band Queen, and the audience will be certainly called upon to handle Freddie Mercury’s vocal part. 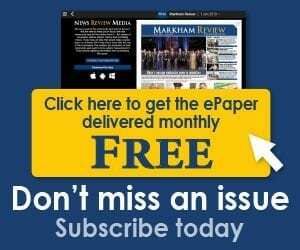 The concert in Markham promises to have much variety; both in song and in arrangement. Elements of the string ensemble and the choir will be joining the fun throughout the evening. 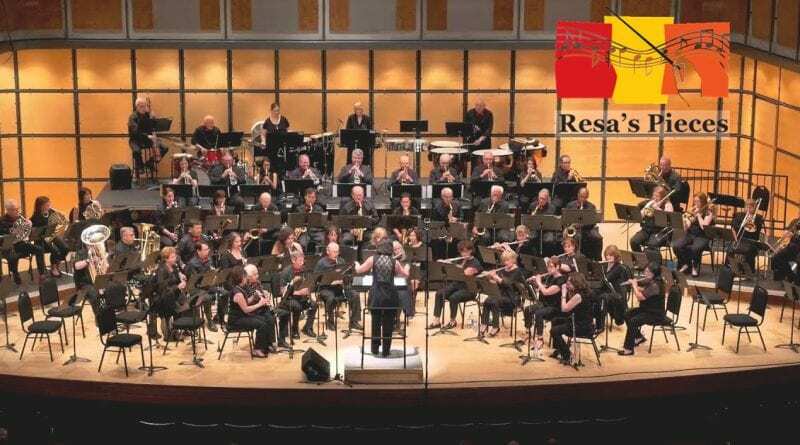 Resa’s Pieces Concert Band performs at the Flato Markham Theatre on May 26. Tickets are available by calling (905) 305-SHOW or online here.